Mr. Keyston chronicles the life of the Discoverer and Founder of Christian Science through her remarkable healing work. From early childhood until her last years, Mrs. Eddy’s life resounded with inspiring accounts of healing, as well as the overcoming of many human laws of limitation. Through her own demonstration of Christian Science, she has left us a legacy of healing work unequaled since the time of Christ Jesus. 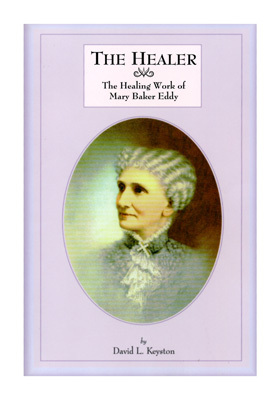 The following healing is found in The Healer: “About the year 1870, before Mr. Charles Slade’s door in Chelsea, Massachusetts, there stopped an emaciated, pale-faced cripple, strapped to crutches. His elbows were stiff, and the lower limbs so contracted, his feet touched not the ground. Mrs. Eddy was there, and gave him some money.